No, not a gathering of individuals who share a love of bath accessories! 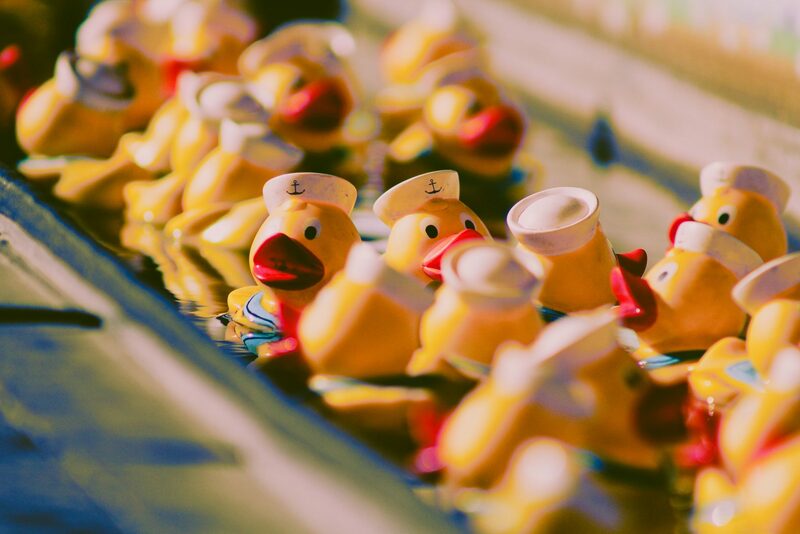 In this blog, we look at the Rubber Duck Club, a virtual support network for those who want a little more accountability in their lives. Running your own business has many perks: doing work that makes you happy, flexible work arrangements, a strong appreciation for what you do… There are plenty of reasons why being your own boss is great! There are, however, some things which need consideration and a few risks involved. When you work for yourself – and especially when you work in a team with remote working – it can be a real struggle to share any issues that crop up. When there isn’t a team physically around you, it can really help to put some community measures in place. With our team working on their own schedules and in their preferred locations, we decided to write a blog on how we collaborate to make sure that we’re gaining the experience and expertise of our colleagues! We’re very fortunate that, here in Bath, there is a fantastic space at The Guild where we can go to get our heads down and get some work done. We’re even more lucky that we have access to the Rubber Duck Club! While the name doesn’t immediately conjure images of people hard at work, the rationale behind it is that in software development, programmers need to be able to debug their work. One story (The Pragmatic Programmer) tells of a programmer who carried around a rubber duck and forced himself to explain his code, line-by-line, to the duck. For us, it’s the idea that two heads are better than one. The Rubber Duck Club at The Guild is all about finding someone else who is happy to share a few minutes of their time every now and again in order to swap ideas, tackle problems, or share the load. Find your buddy (your rubber duck) and together, decide on an appropriate amount of time to swap. Both rubber ducks write down what they want to get out of the time available. Take it in turns to use up your slot – make sure you time it so you can keep to your schedule! This is the sort of thing that quite often naturally occurs in a cohesive working environment: when you sit at a desk next to someone, you may well ask them for some advice on how to deal with a problem that has arisen, and in return, they may ask you to check over an email they’re about to send. It’s not necessary to go to someone who is considered an expert in that field. Instead, it’s the idea of having someone else to bounce ideas off, or to spot any flaws. It’s the same in the Rubber Duck Club. You’re not looking for someone with a particular skill, you’re just looking for someone to share an idea with. Why not give it a try? Set up your own Rubber Duck Club and see if you can all benefit from the group!